There's absolutely no question about who Norman Osborn's chief foil is...the one and only Spider-Man (Peter Parker). But Norman has never focused his anger strictly on the web-slinger, in fact Osborn's #2 antagonist is most likely Tony Stark. Interestingly though, in some ways Stark is a better match with Osborn than Peter. For starters, they're both older than Peter and they're both very wealthy industrial magnates. 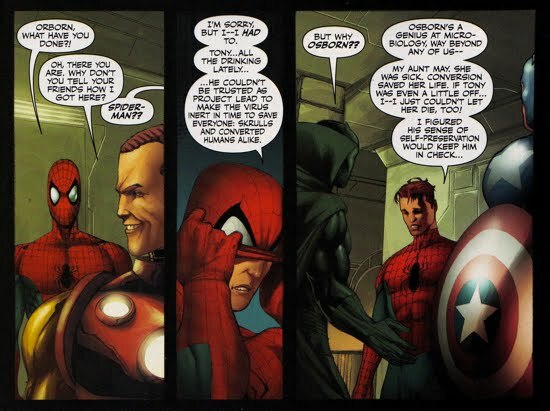 The earliest connection (in terms of Marvel Universe Chronology not publication date) between Osborn and Stark that I could dig up came from Marvels #2. This issue takes place around the time Professor X and his X-Men first appeared publicly. 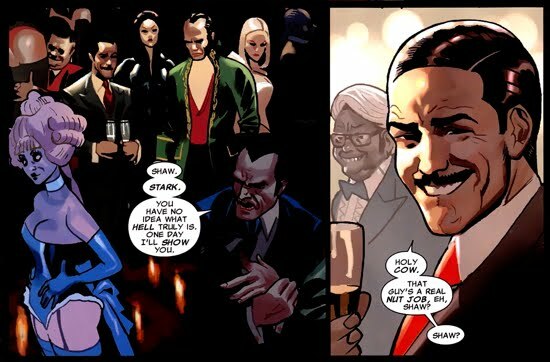 The two panels below perfectly illustrate the difference between Osborn and Stark. Osborn, although included amongst the rich elite, does not revel in their company. In fact, he looks downright miserable. Stark on the other hand relishes in the opulence and everyone seems to love him in the process. The duo (Stark and Osborn) are attending the unveiling of an Avengers statue. 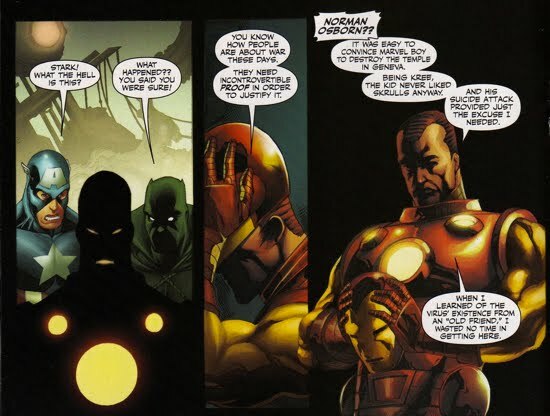 Norman was again depicted amongst Tony Stark's social circle in Iron Man (Vol. 3) #1. This time he was offering Stark advice during the Heroes Reborn storyline and, as expected, Norman was emphasizing the failure it is to be seen as weak. 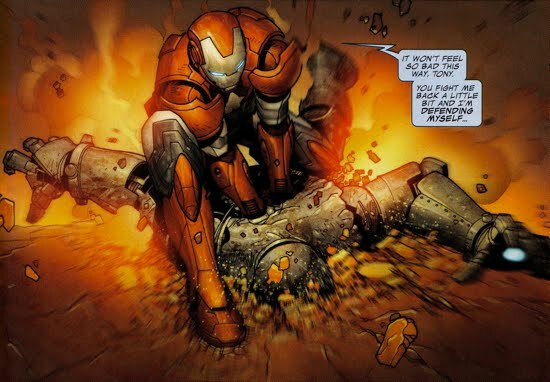 Later in Iron Man (Vol. 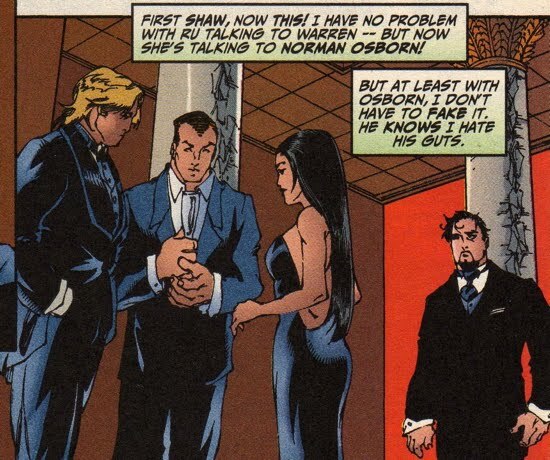 3) #37, Stark spots Osborn talking with Rumiko Fujikawa (aka 'Ru') and he thinks to himself how much he hates Norman. The interesting aspect about that revelation is that it's not clear just where that hate began. Did Peter Parker confide in Stark the truth about Osborn? 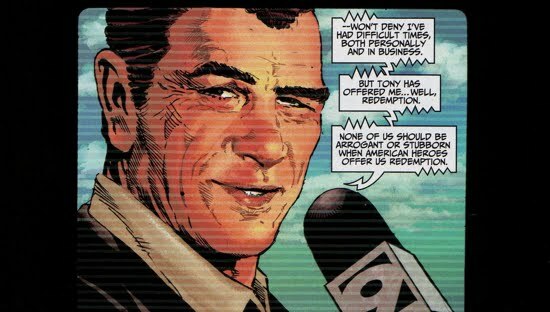 Was it based in Osborn's reputation as a ruthless businessman and/or was there a deal that went south between the two? Either way this marks the first declaration of antagonism between the two men. in a retconned story featured in Uncanny X-Men Annual #2, Osborn is once again seen amongst the world's elite at the Hellfire Club. However, this time he was not enjoying himself. After Tony Stark, while flirting with Emma Frost, inadvertently spilled his champaign on Norman causing him to flip out on Stark. Sebastian Shaw stepped in calm Norman down and when Norman flipped out on him too, Shaw snapped his finger, breaking it. Norman was then forced to leave the party. A few years would pass before Stark and Osborn would cross paths again, this time it would be as their alter egos. 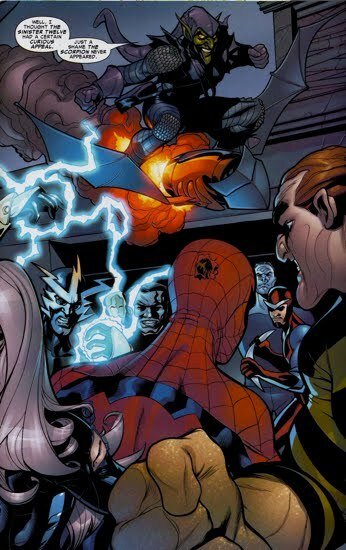 In Marvel Knights Spider-Man #10 Norman unleashed the Sinister Twelve on Spider-Man and the Black Cat. The pack of villains was too much for the two to handle luckily for them MJ had contacted the Avengers who swooped in to take on the fight. Iron Man and the Green Goblin did not trade blows but for a brief moment they were in close proximity, so that counts for something! 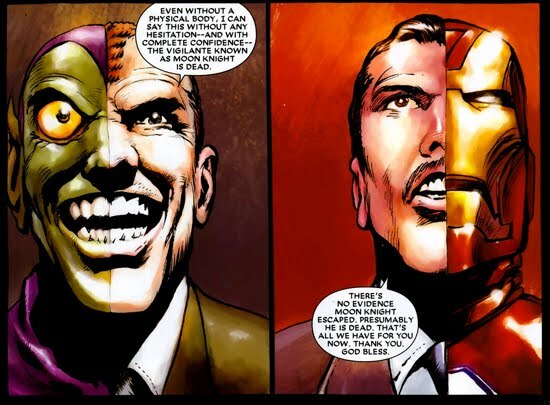 During the course of the Superhuman Civil War the relationship between Stark and Osborn took an unpredictable turn and the result of that shift would have drastic effects on the Marvel Universe in the years to come. For a complete summary see this section because the following will not be a thorough overview. When Peter Parker publicly unmasked as Spider-Man he took the opportunity to also throw Norman Osborn under the bus as the Green Goblin. Norman, who was in S.H.E.I.L.D. custody at the time, was none too pleased with Peter 'breaking [their] rules' so he decided to take on a new strategy...which meant working with Stark. 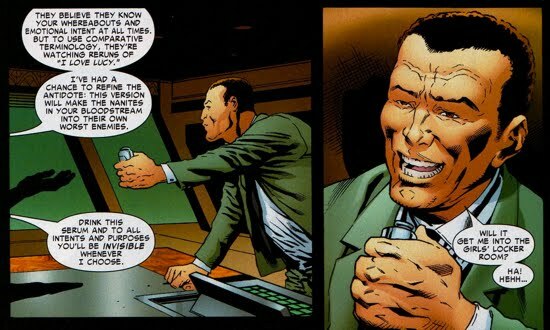 Tony used Osborn (as the Green Goblin) to wreak havoc (blowing up buildings, assassination attempts, etc) in an effort to drum up support for the Pro-Registration side. Norman was able to come and go from S.H.I.E.L.D. 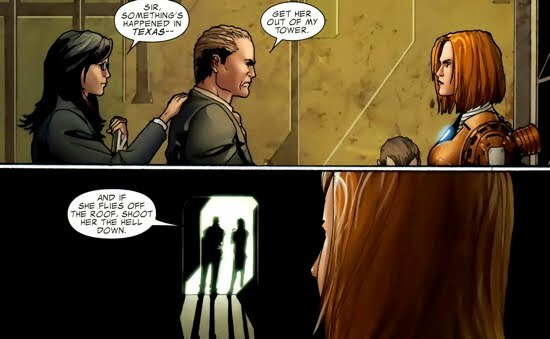 custody because Stark had provided him with a nanite suppressing serum that prevented authorities from knowing/controlling Osborn's whereabouts. Ben Urich eventually put the pieces together, suspecting collusion between Stark and the Green Goblin. 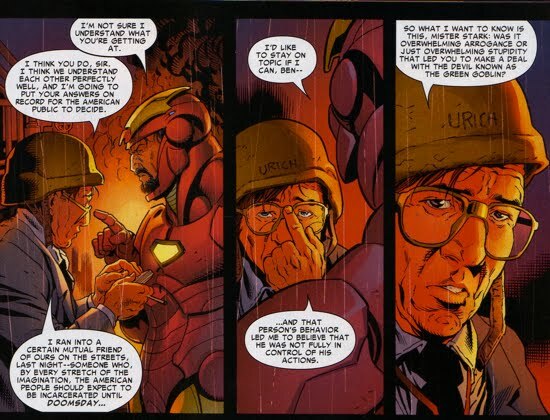 He eventually confronts Stark and although Tony never admits (on panel) what he had done, it seems likely that Urich had it all correct. 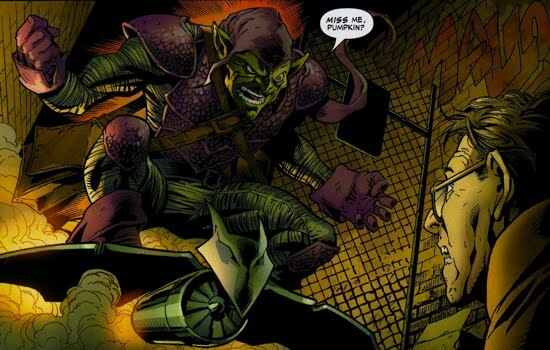 One of the many outcomes of Stark's use of the Green Goblin was that Norman was placed as the director of the Thunderbolts at the conclusion of the war. Stark was now Norman's boss!! And if you thought Norman was phoney before, check out the second panel below...Osborn refers to Stark as an 'American Hero'! 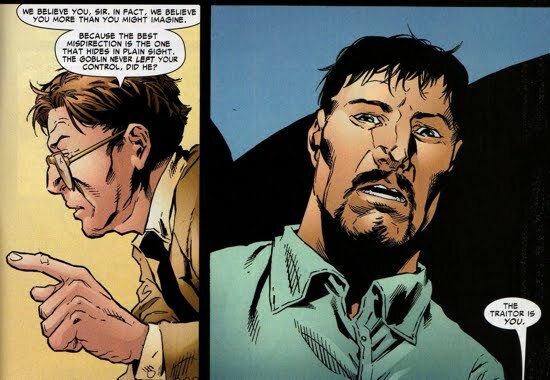 As Director of the Thunderbolts, Norman had numerous interactions with Tony and for the most part Stark treated Osborn as a subordinate that he did not like, often bossing him around like Osborn was a worthless stooge. 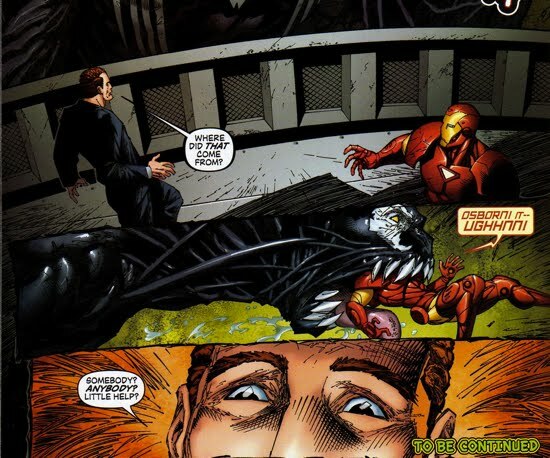 Stark kept Osborn on a very short leash and he would even dose him with sodium pentathol if he wanted to get straight answers from him (as seen below in a panel from Penance Relentless mini series). The panel below is from Penance Relentless #4. 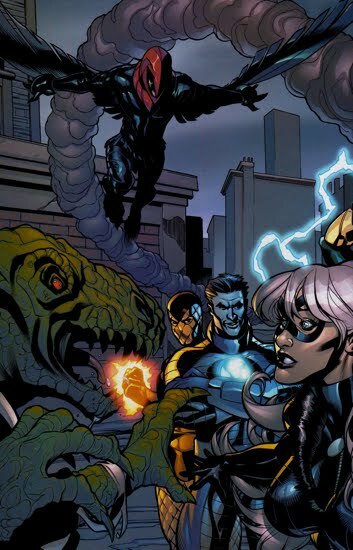 The Thunderbolts and the Avengers actually teamed-up along with the group known as Cyberforce to stop an alien hybrid (back inFusion 1-3). But that collaboration was short-lived and Norman and Tony would soon return to their mutually disrespectful relationship. This event marks the first time Stark and Osborn worked-together as equals toward a greater good. 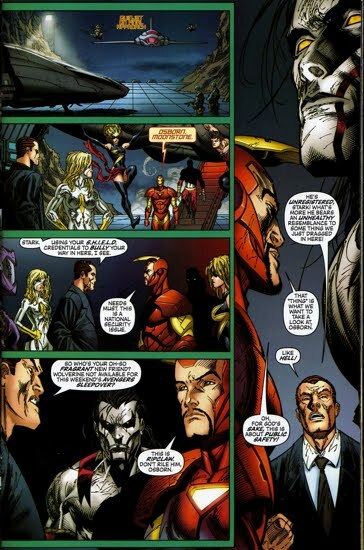 Osborn would find a way to annoy Stark when he served as a guest with the Commission on Superhuman Activities (C.S.A), which happened to be investigating Stark around this time. 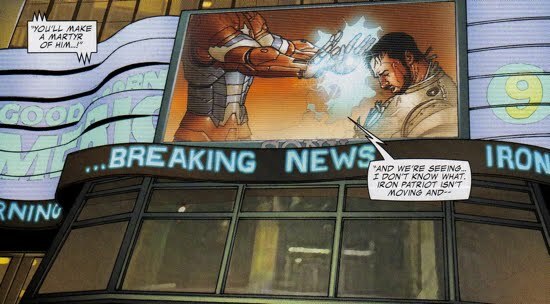 Stark was investigating Graviton's involvement in the death of the hero Gadget, he then presented his findings to the C.S.A. in Washington D.C. 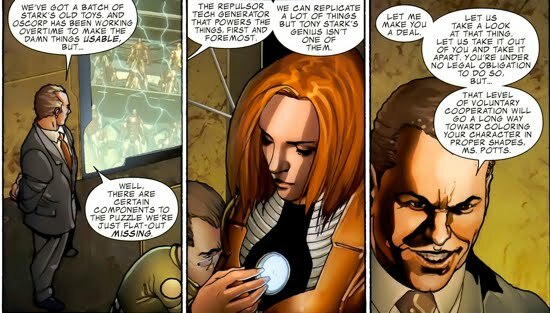 In Iron Man (V4) #23, Osborn was present during Stark's briefing as Tony shared his theory that Gadget could have been killed by her own teammate Cooper Roth (aka Paragon). The C.S.A. was dismissive of Stark's claims and the committee suggested that this case should have been closed weeks prior. Norman plays devil's advocate to Stark and suggests that Roth could have been a 'boy unhinged' and that he may have been seeking vengeance for his friend's killer. Osborn is not seen again within the context of this case, so it is unclear what Norman's agenda was for his suggestion. Most likely he was simply trying to needle Stark, its unlikely Norman was involved with this conspiracy. Interestingly, Norman would later slam the C.S.A. for 'not listening to him' in regards to the widespread use of StarkTech. 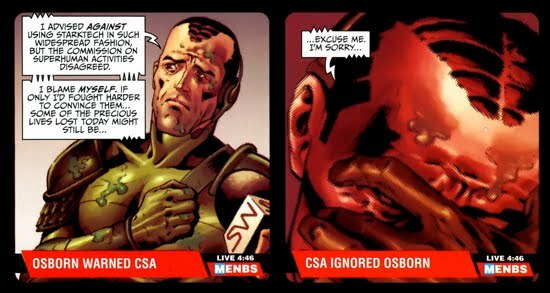 When the Skrull Invasion was in full swing, Osborn used the media to undermine C.S.A. blame them (as well as Stark) for the invasion's lethal outcome. 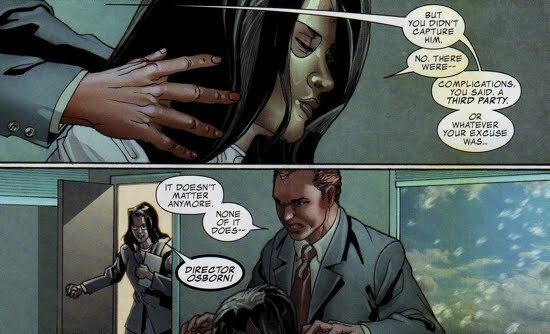 Osborn also managed to get a few public jabs on Stark from time to time as well prior to the invasion. 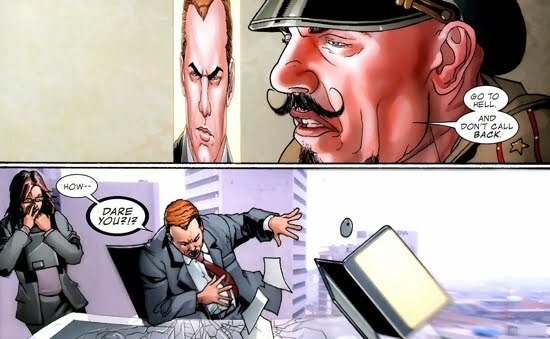 When Marc Spector became a public enemy, Osborn and the Thunderbolts were tasked with bringing him into custody. 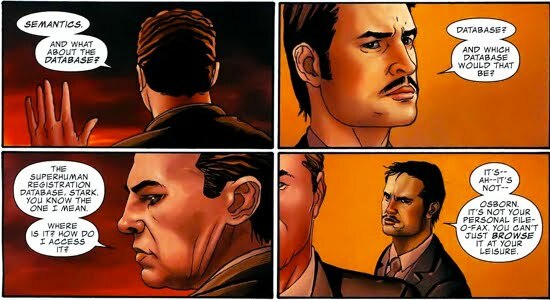 As you can see from the panels below, Osborn and Stark had different interpretations on the results of that manhunt. Osborn's use of the media to bait or slander Stark would become a consistent strategy in the years to follow. 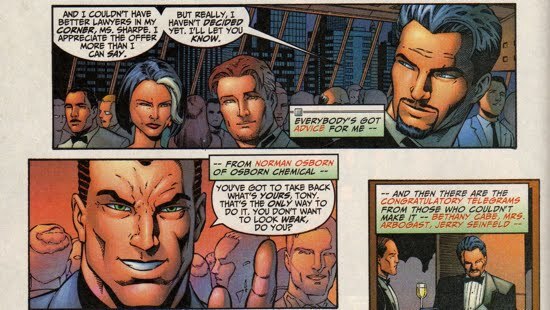 It seemed as though both Stark and Osborn were satisfied simply discrediting the other at press conferences, but Norman would soon convincingly win the battle of public opinion during the Skrull Secret Invasion. Two critical events triggered Norman's meteoric rise to power. 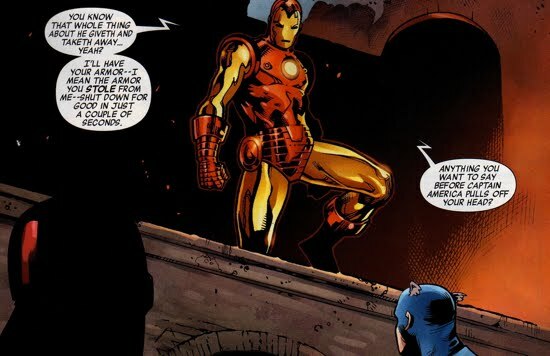 The first occurred when Stark had a malfunction in his Iron Man armor that forced him to retreat from the battlefield against the Skrulls. 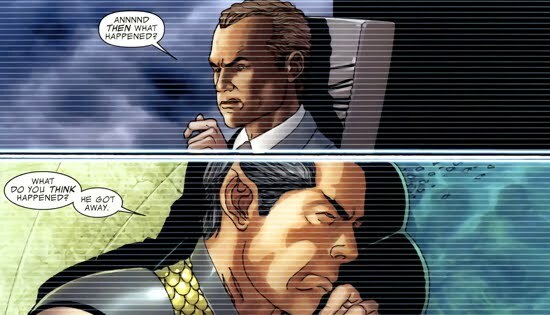 Osborn witnessed Stark's departure and knowing full well that the media was filming every aspect of the war, he led a charge against the Skrulls. Osborn was victorious and he was beginning to be viewed as a war hero. The second event occurred when Osborn intercepted a transmission between Deadpool and Nick Fury that contained Skrull data. 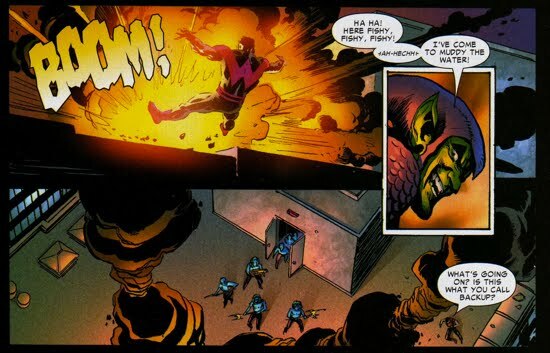 Osborn used that data to his advantage and he fired the kill shot on Skrull Queen Veranke. Those two events placed Osborn in high favor with both the citizens and government of the United States. He was eventually brought in to speak with the President as well as testify in front of a Senate oversight committee. As expected, Osborn took both of those opportunities to slam Stark/StarkTech/C.S.A./S.H.I.E.L.D. and also propose himself as the leader of the newest peacekeeping task force called H.A.M.M.E.R. Norman was handed the keys to the kingdom as Stark took the fall failures of S.H.I.E.L.D. 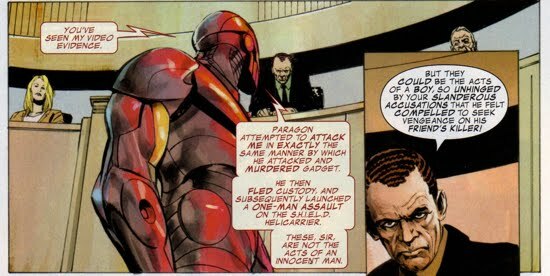 To add insult to injury Osborn steals Stark's Iron Man armory and rebrands himself as the Iron Patriot. 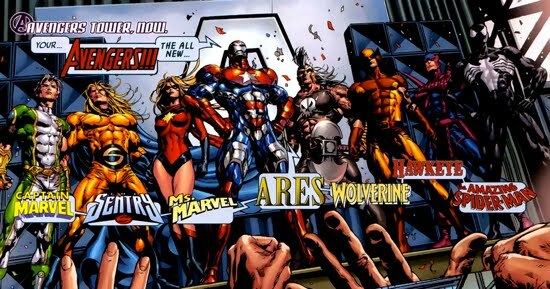 He then creates his own team of Dark Avengers. Should we remind Norman that imitation is the most sincere form of flattery?? 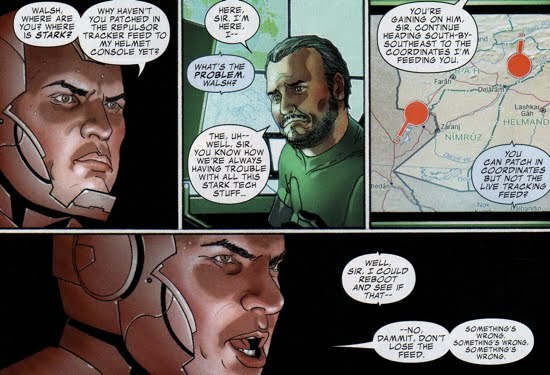 This was one of my favorite panels from Dark Reign and it is perfect for this section because it shows just how much these two love to hate each other. 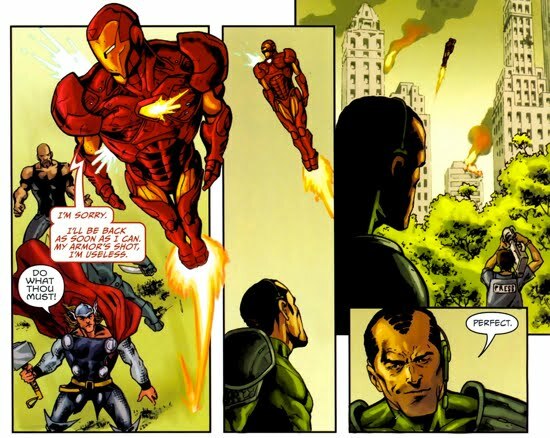 Here's Osborn taunting Stark regarding his alterations of the Iron Man armor. Osborn (above) at the unveiling of the Avengers statue...a party from long before Dark Reign that was featured in the retconned Marvels #2 story. He looks pretty jealous/miserable right? When Osborn decommissioned S.H.I.E.L.D. , he created his own peacekeeping task forces and he called it H.A.M.M.E.R. 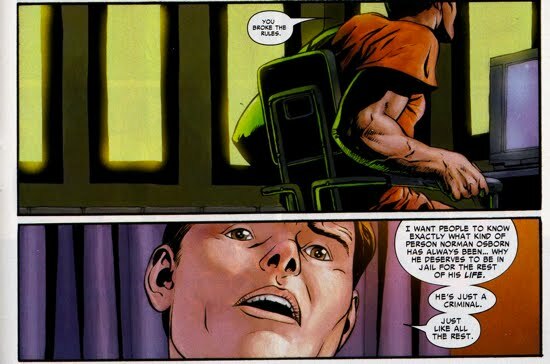 As Stark vacated his position in shame, Osborn was anxious to take all that was under Stark's control, namely the database that housed all the information from the Superhuman Registration Act (ie. the secret identities of many costumed heros). It should be mentioned that this story takes place in the era of Spider-Man's Brand New Day, which involved Spidey creating a mindwipe that erased everyone's knowledge of his alter ego. Osborn was very interested in rediscovering that information. 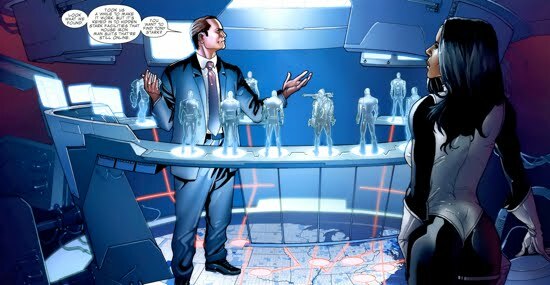 Although it is worth mentioning that throughout Osborn's hunt for Stark, he became frustrated trying to replicate certain facets of Stark-tech. 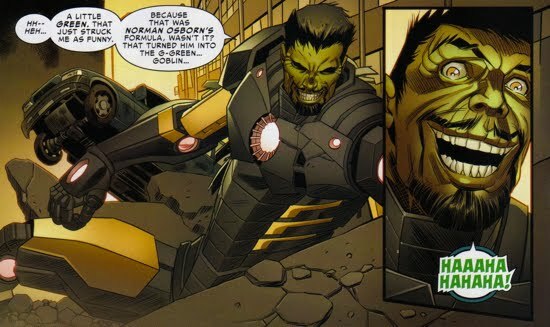 Osborn even conceded that he could not mimic Stark's genius, it was interesting to see Norman concede that point aloud. With Norman's pride and his hatred for Stark, one might think he'd keep that to himself. 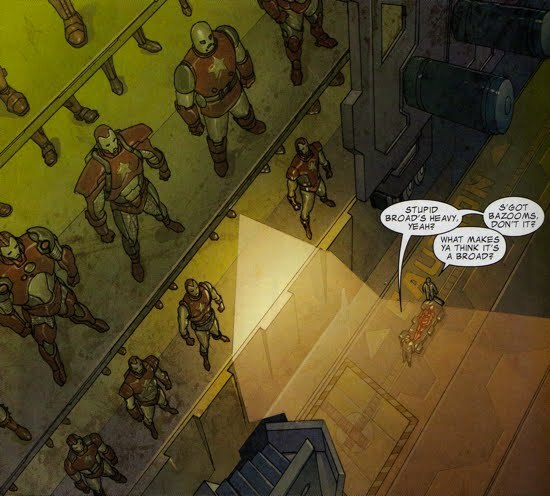 Stark would later play a critical role in Osborn's downfall during his siege on Asgard. 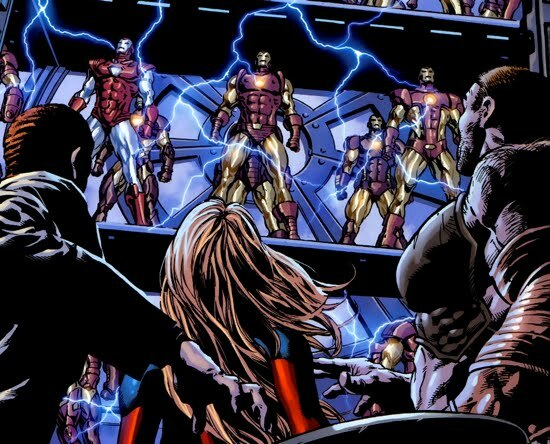 Stark disabled the Iron Patriot armor which allowed the rest of the heroes to take Osborn into custody. 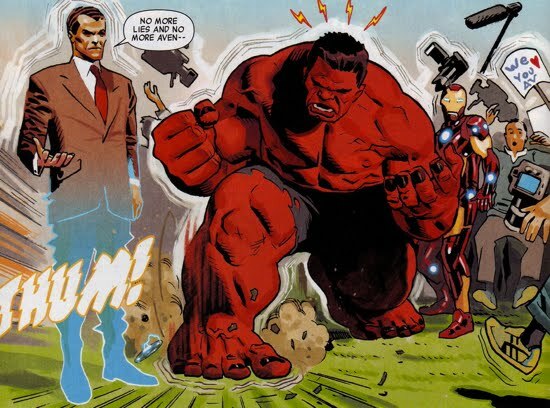 Osborn would return to the public spotlight and once again use the media to slam the Avengers during his second Dark Reign (aka Dark Reign Lite). This is yet another example of Osborn using the media to attack Stark and his allies. 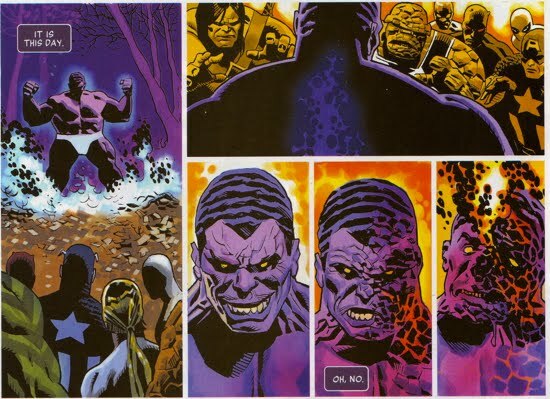 This run by Osborn was short-lived and Norman would end up destroying himself after his Super-Adaptoid technology caused him to literally melt down. That takes us to where we stand today. Undoubtedly these two will cross paths again and when they do, it'll be on this page! 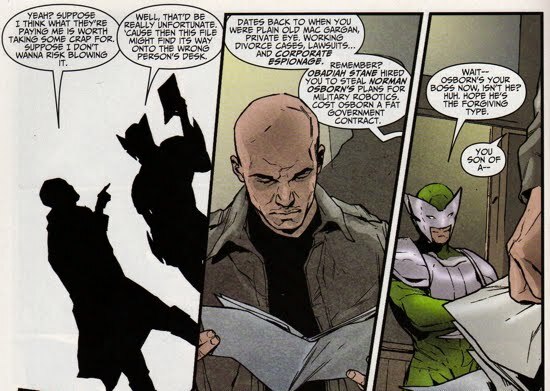 The first honorable mention to the Stark/Osborn history is the fact that Obadiah Stane once hired Mac Gargan to steal Osborn's military robotics plans...which led to Osborn losing a lucrative government contract. Since we know Stane and Stark are enemies, would this be a case where the enemy of my enemy is my friend (making Osborn/Stark allies)?? 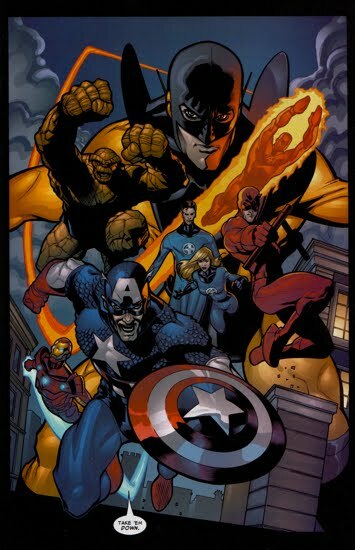 A second honorable mention comes from an alternate universe, one which took place during the events of the Skrull Secret Invasion. 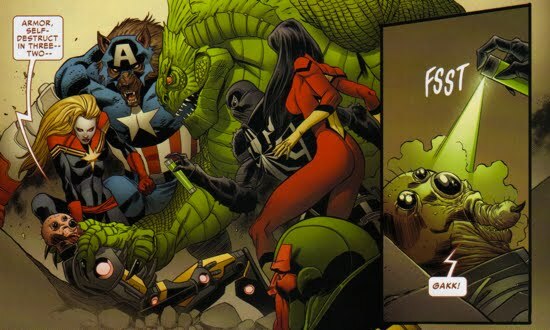 In the one-shot What If Secret Invasion, Spider-Man (of all people!) 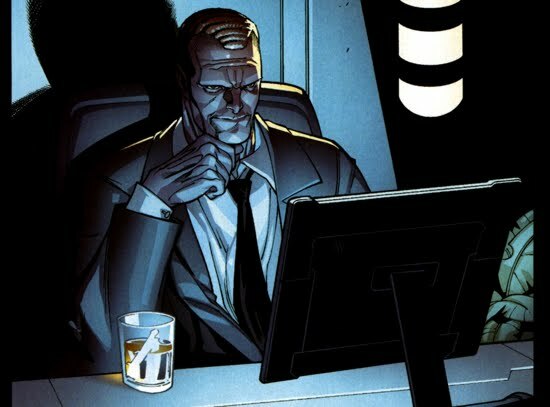 contacts Norman Osborn and asks him to work on a cure for the Skrull Conversion. Taking an opportunity to humiliate (and impersonate!) 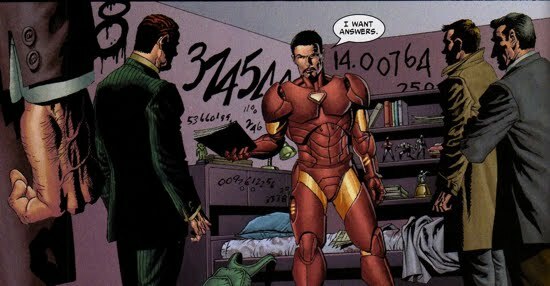 Tony Stark was not something Osborn would pass up. 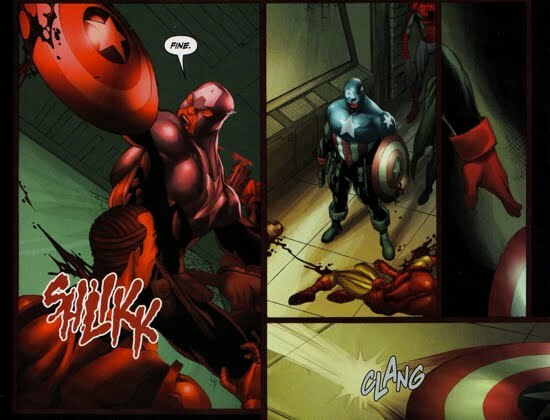 In the end, it didn't work out well for Norman because he decided to double-cross Spider-Man (and the rest of the human race)...thus he was killed by Bucky Barnes (aka Captain America). 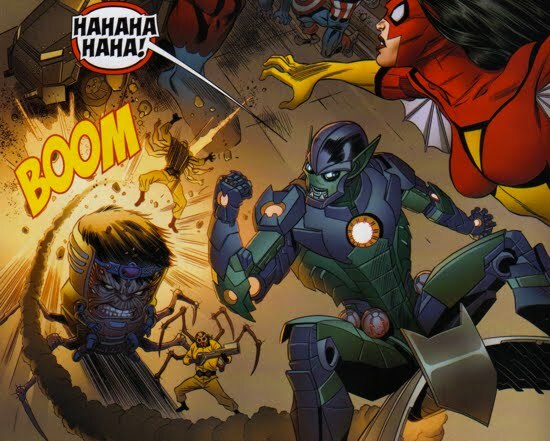 And, as expected, the Iron Goblin was born. 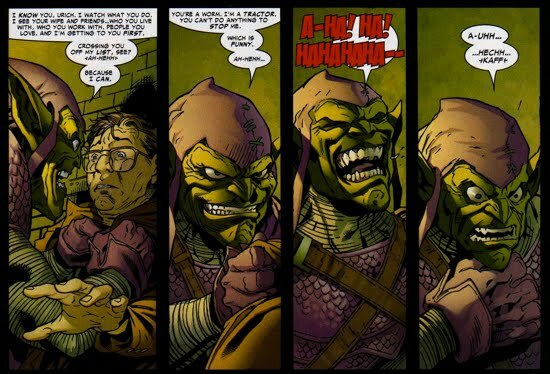 And for the record, the Iron Goblin died a hero!